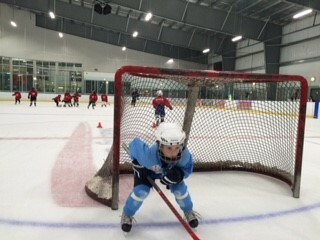 The Milton Skating Club is the place to start your future hockey star. First we teach them how to skate… then we teach the fundamentals of the game of hockey. Prepower helps to develop basic skating abilities in a power skating-specific environment, including balance skills, forward and backwards skating, stopping, turning and agility skills. The curriculum is presented in three progressive levels.The program has been designed to run concurrently with can skate sessions. This program is geared specifically to hockey focusing on fundamental movements of skating is designed for younger skaters. Skaters 6 and under must have completed Milton Skating Clubs Canskate Stage 2. Canpowerskate is an action-packed, high energy instructional power skating program geared to hockey and ringette skaters that focuses on balance, power, agility, speed and endurance. Skills techniques and conditioning drills are taught in a progressive format that emphasizes how the drills apply to game situations. Canpower is an excellent complement for those athletes playing hockey or ringette. It’s unique skill award program incentives and motivation for skaters to continue to achieve. In order to progress into the CanPower program you will be assessed and invited up by the coaches. 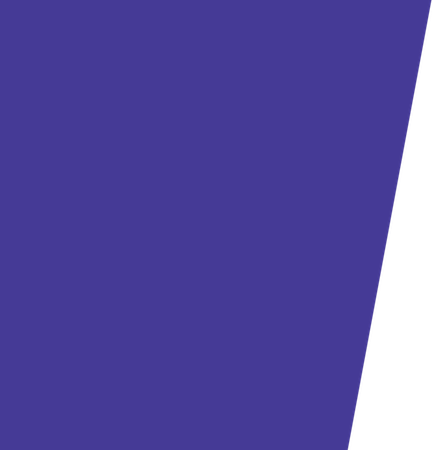 Canpower is the only nationally regulated power skating program in Canada. 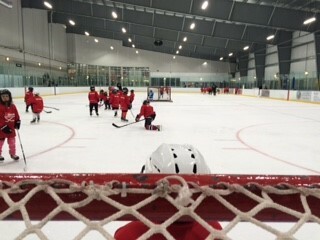 It was developed by a team of hockey, figure skating and ringette experts to teach fundamentals of power skating in a progressive and sequential manner. A practice jersey will be provided. My child wants to take Power skating lessons, how can I tell if they are ready? In order to progress into our Prepower lessons your child will need to have passed Canskate level 2. 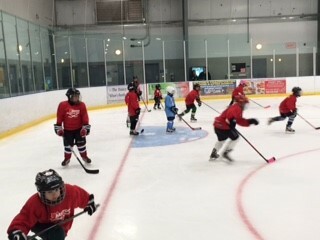 If you child has not taken Learn to Skate classes but has played hockey within the minor hockey system then we would generally say that they will have needed to have completed a season of TimBits. If your child’s skating skills are not strong enough to keep up with the pace of the Prepower classes they will be moved to a Canskate class to work on the skating fundamentals. Coaches are always evaluating to allow for the skaters to advance into the next levels of skating. My child has never played hockey can they take a Power Skating lesson? YES. They will need to have passed Canskate level 2 in order to take part. Full hockey equipment is needed to take the class. Please click HERE for the Power skating equipment list. Will the skaters be split into groups like the Canskate program? While the skaters are split into groups they are only to perform drills and not by ability, like the Canskate program. We will do drills as a group so that the entire ice surface is used. I now have a scheduling conflict can I get a refund? Prior to 48 hours before the start of a Program, refunds are issued for the full amount of the registration. Within 24 hours of the start of a Program, a non-transferable FAMILY credit will be issued for unused time less an adminstration fee of $35.00. After a Program has started refunds are only issued in the event of an emergency situation/injury, which limits the participation within a program. A Doctors note will be required. Please contact the office immediately. Follow the links below for information on Ice Schedule for Power Skating.